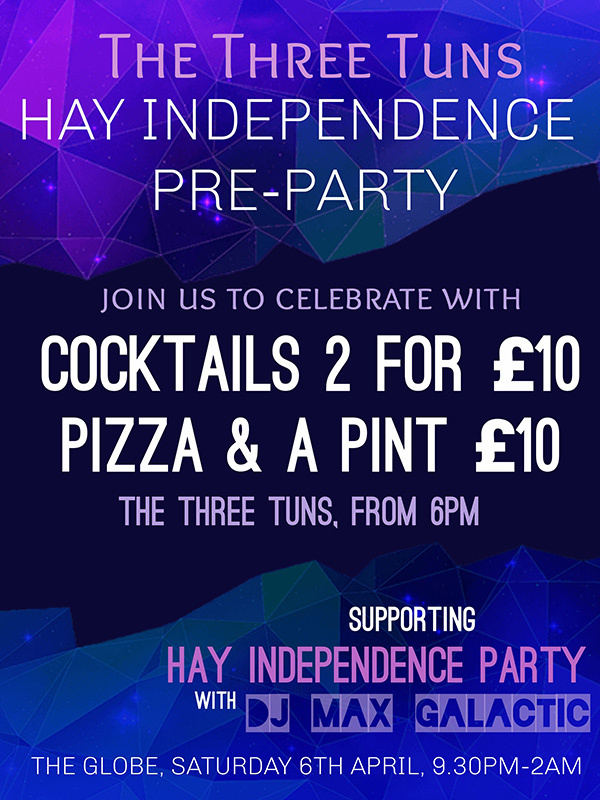 We're excited to announce our pre party event for Hay Independence day!! In partnership with DJ Max Galactic and The globe at hay, we have special food and drinks offers to get you ready for a night of dancing at the globe! !